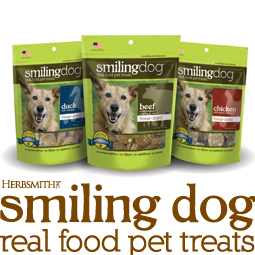 Herbsmith Smiling Dog treats are meat-based treats with balancing vegetables and fruits. We add no grains to replicate a more natural diet! 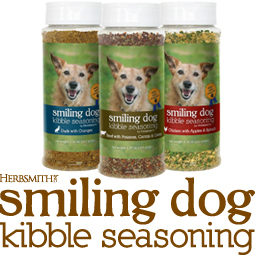 Herbsmith Smiling Dog Kibble Seasoning is perfect for even the pickiest eater! Simply sprinkle it over your dog’s kibble to add great flavor while providing a healthy protein source!